Michel’le | Digging in tha crates. While Ruthless Records is rightfully known as a quintessential gangsta rap label they also dabbled other genres, such as R&B (back when hip-hop and R&B were distinct musical genres sorta, kinda). Michelle Toussaint, Dr. Dre’s then-girlfriend, was the first non-rap act to release an album on the world’s most dangerous record label. With Dre and Yella producing the album wall-to-wall, Eazy-E overseeing everything and Jerry Heller walking away with most the money Michel’le is every bit as much an N.W.A offshoot as Eazy-Duz-It yet it is always overlooked or straight-up ignored by hip-hop fans, ostensibly because it isn’t a hip-hop album. But for those open-minded enough to listen to something different every once in a while, it has plenty to offer. For those expecting an album full of Straight Outta Compton-styled beats, with singing over them in stead of rapping, because Dre was involved, Michel’le might come off as a bit of a disappointment. Dre was and is more malleable than that and actually goes for broke in an attempt to create a legitimate urban soul album and wholly succeeds in making the proceedings sound authentic in the instrumental department, providing an intoxicating mix of dance, quiet storm, hip-hop lite and new jack swing. If the credits said everything was produced by Babyface that would’ve been completely believeable, which isn’t something one would expect from a Dr. Dre-produced record, having listened to Straight Outta Compton, Eazy-Duz-It or No One Can Do It Better. If today an R&B album is released on a label that houses several famous rappers, said rappers are usually all over the album dropping verses, trying to be good employees and bidding for crossover appeal. Except for a blink-and-you’ll-miss it Dre verse on Nicety no-one in N.W.A, JJ Fad or Above the Law appears in anything but skit or background vocal capacity giving our hostess the room to show her talents, a smart move. Michel’le is a talented, confident singer who could easily go toe-to-toe with more famous contemporaries such as Toni Braxton or Tamia. Her strong, full bodied, thunderous singing voice (which forms a hilarious contrast with her squeaky Betty Boop speaking-voice, which can be heard on the second last track Special Thanks) is ripe with emotion without her trying to hit every note in existence, Whitney Houston/ Mariah Carey/ the Voice-style. The lyrics, written by Laylaw and the D.O.C. and Michel’le herself are classy, consistent, clever and sticking to a theme in a way that is completely absent from a lot of R&B music these days. With only twelve tracks, ten of which are actual songs, there is little room for filler and the album doesn’t overstay its welcome at all. Michel’le was a hit upon release, racked up a bunch of hit songs, sold tonnes of records and helped pave the way for other hip-hop-soul songstressed, including but not limited to Mary J. Blige, TLC, Faith Evans and SWV. Unfortunately for her and music lovers her career more or less ended with this album, after which she was relegated to the occasional cameo appearance on Ruthless-released albums (and later on on Death Row Records). And she wasn’t able to put out another album until 1998 when everyone had forgotten all about her, on the sinking ship that was Death Row Records. That record flopped accordingly. Michel’le is a very entertaining album that despite you never having heard of it is worth your hard-earned cash and is deserving to be known as the classic that it is. To those who enjoy soulful, well-put together R&B with a vintage sound Michel’le is a must-own. 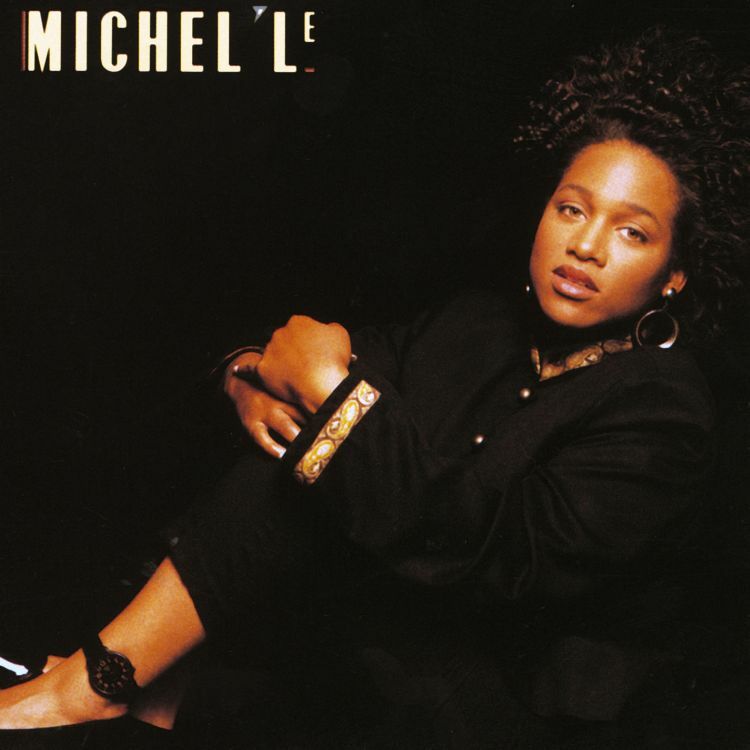 For those who dislike today’s R&B because they find it overproduced, lacking in the musical department and/or sounding like it was recorded by cyborgs rather than humans, by all means should give Michel’le a try.